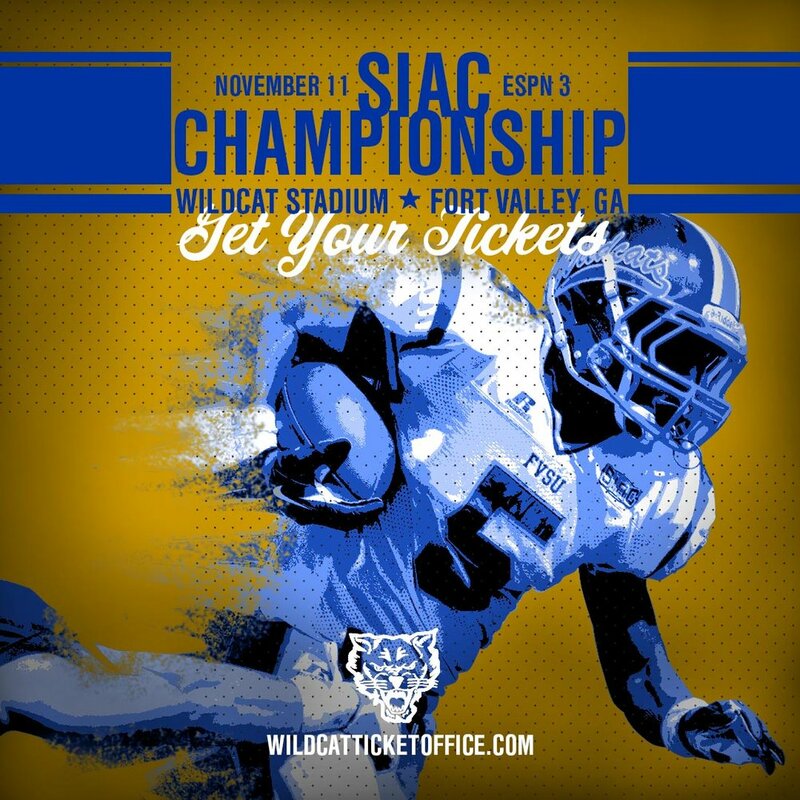 Fort Valley State will defend its SIAC Football crown after capturing the Eastern Division on Saturday, November 11 at 2PM, Wildcat Stadium. The Wildcats will play the winner of the Tuskegee/Miles game on Saturday. The game will also be televised on ESPN3. Check your local cable listing for the channel. We are asking Wildcats fans and alumni to come out and support the team by wearing your Blue and Gold. Get your tickets!